Michele contacted Colour Burst at the start of 2016, with over 10 years in the events industry, it was time she went it alone. 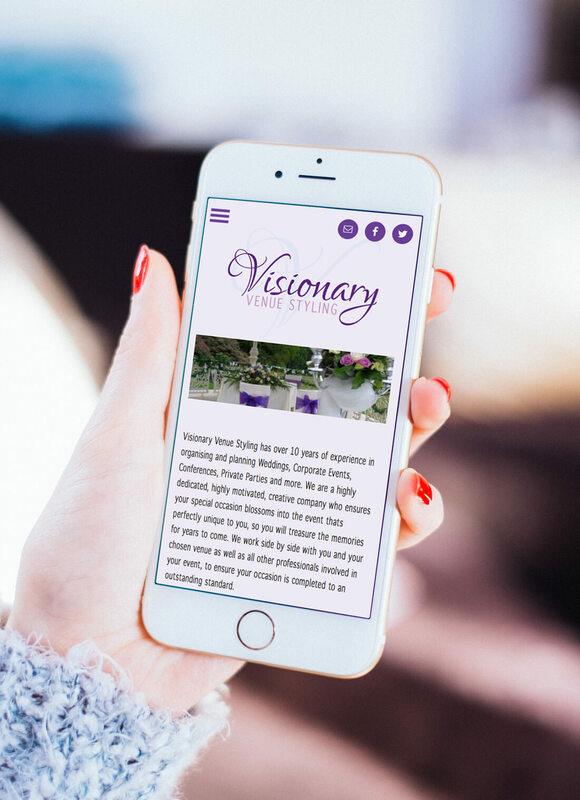 Michele had a name – Visionary Venue Styling, but wasn’t sure exactly what else she needed when she first arrived, but after an initial consultation she knew she required a Brand, Website, Marketing Materials (Brochure, Leaflet, Downloadable PDFs) and to be set up on Social Media, with a bit of training. We consulted with Michele to find out her thoughts, styles, what best represented the ideas in her brain. We started by asking what colours she thought best represented the industry she was in and her style, if she wanted a romantic, modern or urban style and after researching the events and wedding industries, we started on our ideas. Colour Burst starts with colour and style. Once we had an idea of that, we we’re off! We produced a beautiful Logo incorporating the chosen colours, and created brand colours to compliment. 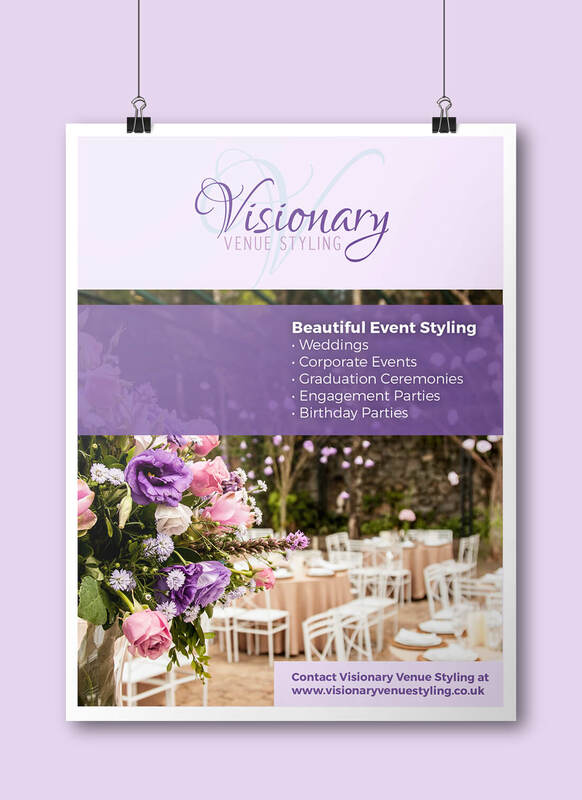 We used these and the style to create the Visionary website on WordPress. 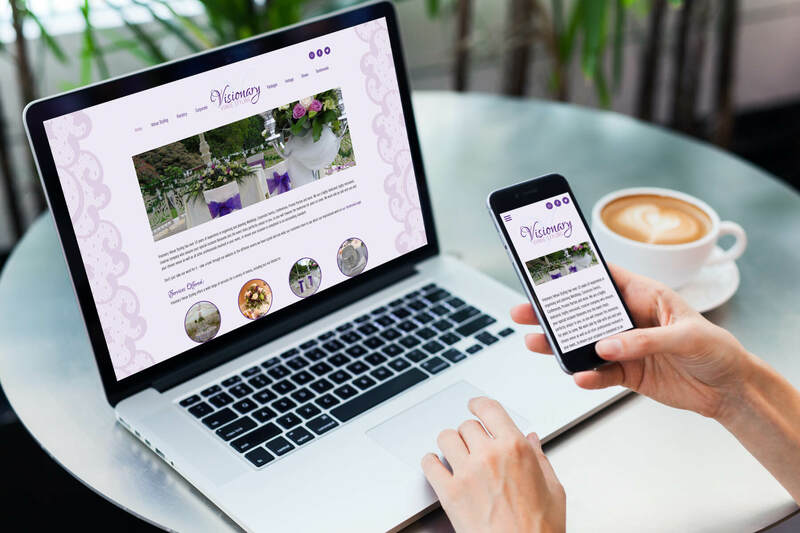 With a lot of work from our developers, custom coding the intricate parts to the site Michele required, the website was complete. 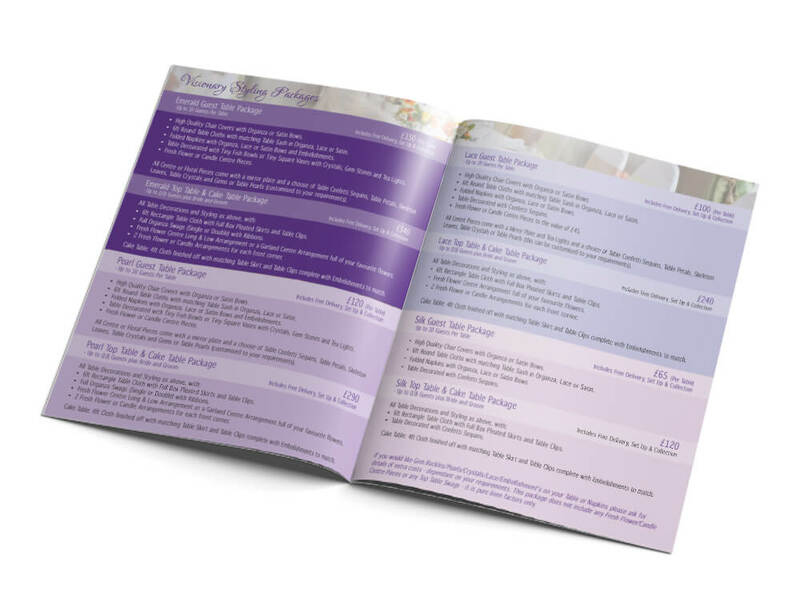 We used the overall brand to design marketing materials – a brochure, showcasing the event types, themes, what’s included. 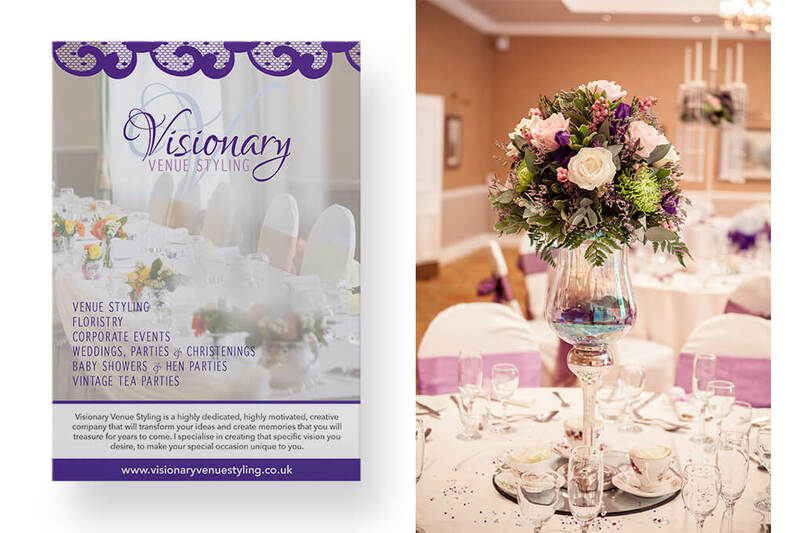 She also wanted a leaflet for handing out at wedding expo’s, business cards, roller banners, price lists, flower tags to promote the Floristry side of her business and more. Michele attended her first event in January 2016 and had over 200 enquiries from a single event. 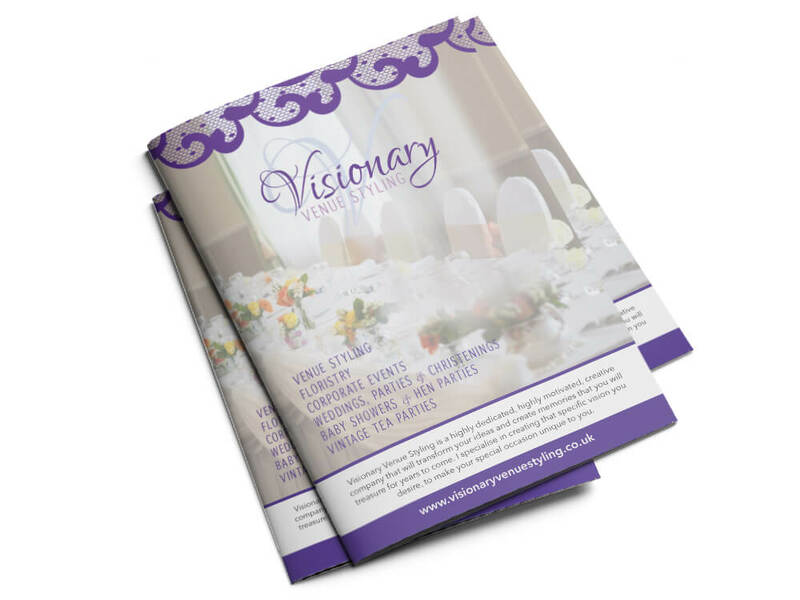 It’s safe to say, Visionary are making a statement in the industry and are quickly becoming the go-to when it comes to weddings. I contacted Colour Burst Studio after a rocky year, wanting to start my own business. They were fantastic! They gave me great advice regarding what I would need to get set up and be able to attend wedding expo’s in the summer. They designed everything from my logo to website and roller banners, leaflets, custom shaped tags for flowers for me to give away, everything. I would highly recommend team Colour. My business has taken off since my first event. I will be a returning customer! Give us a call and we’ll chat through what you need. We’ve got tea, coffee and biscuits!